Simple. Safe. Effective. Smooth Foot Rings and Rough Glaze Edges. 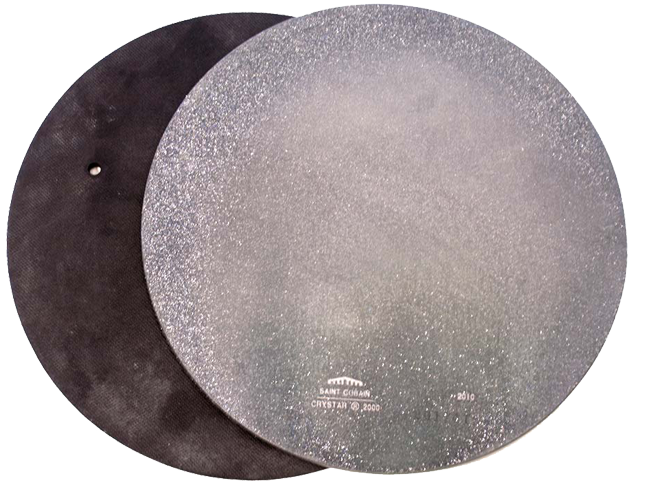 GlazeEraser® is a unique, slow speed grinding tool designed to work with your potters wheel to quickly remove glaze drips and other unwanted kiln debris from pot bottoms. Ideal for quickly smoothing foot rings and rough glaze edges. 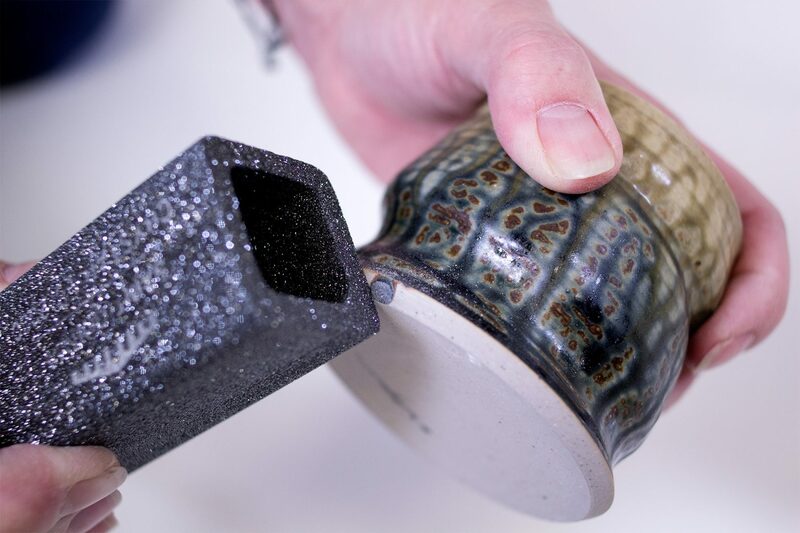 Made of the Same Durable Material as our Grinding Disk GlazeEraser® Hand Tool is ideal for glaze removal/touch up on small, hard to reach areas of pots. It will not leave any marks or scratches even on white porcelain clay bodies. Cleaned surface areas will be smooth to the touch.